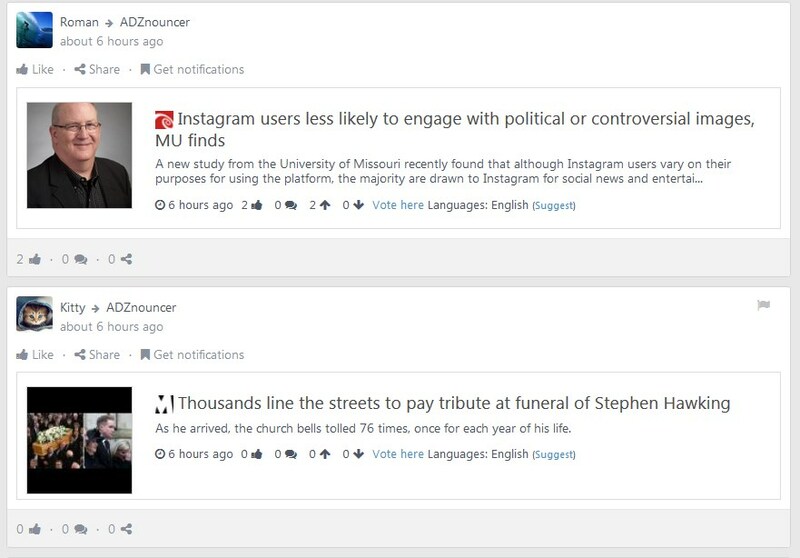 New social media & content discovery platform. 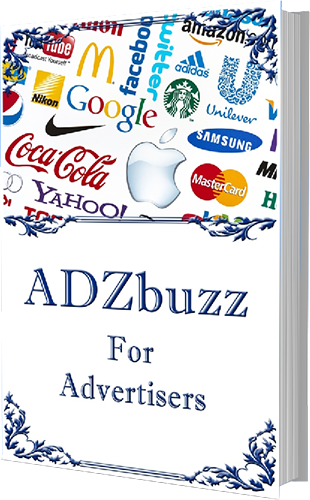 The heart of ADZbuzz Network is ADZbuzz – social media and content discovery platform. It is the link between all other ADZbuzz Network platforms. It is the core that connects all smaller branches into one unified platform. 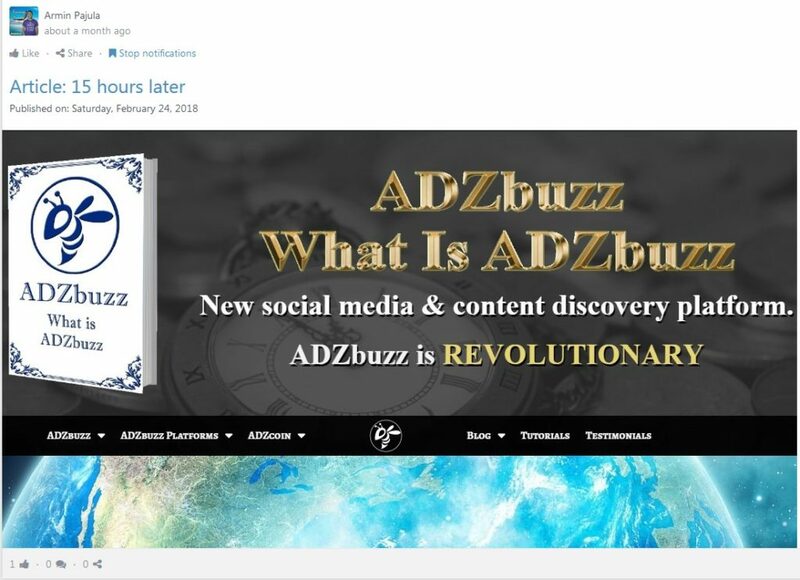 ADZbuzz is a new revolutionary social media and content discovery platform where people can follow their favorite sites and find new interesting content. The main purpose of ADZbuzz is to connect web publishers and content users under one roof and at the same time help web publishers gain back the lost revenue because of ad blocker users. The main goal for ADZbuzz is to become the only platform people ever need to visit to be up to date with all the latest news from the topics they are interested in. In addition to the option to find all the content in one place, ADZbuzz is also rewarding its users with community tokens and with unique and valuable cryptocurrency called ADZcoin. 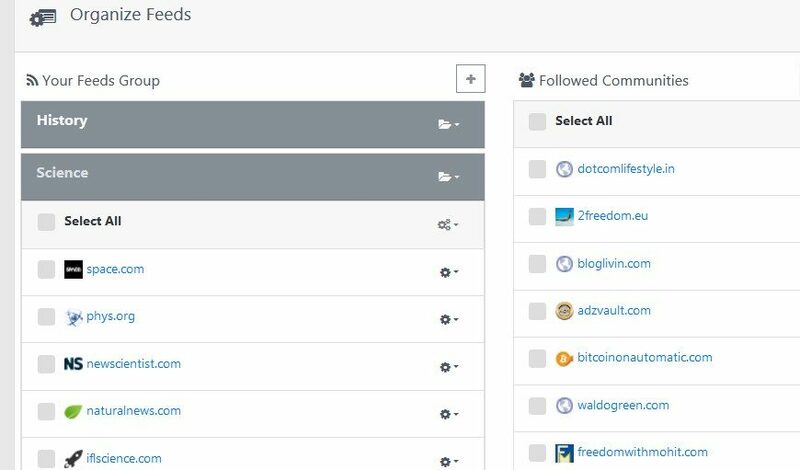 Every ADZbuzz user can build their own easy to follow custom feed with the content which they are most interested in. No need to surf between different sites. You will get all the content in one place. You can choose from multiple options how you want to see the content. For example, you can choose to see the content according to the categories you have assigned yourself. Or perhaps you want the content being presented according to the communities you have joined. 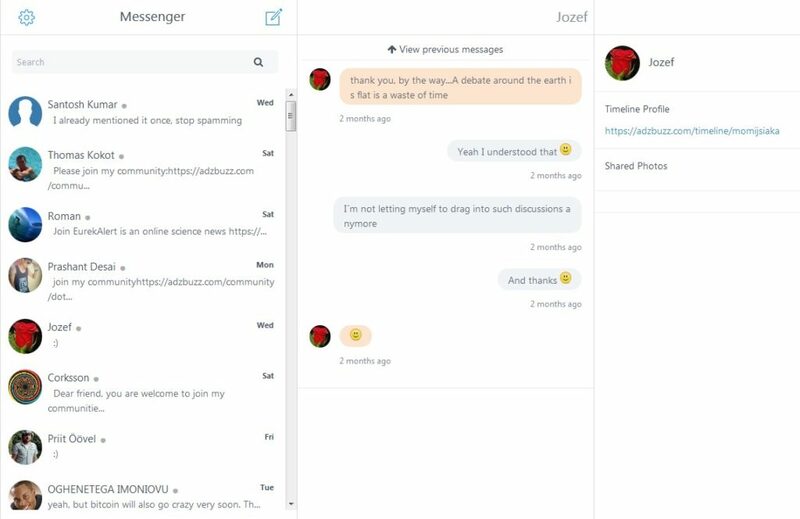 Want to see what your friends are doing, You can easily switch the news feed to the social feed where all the action from your ADZbuzz friends is taking place. The feed is very similar to Facebook social feed. Be in contact with your friends through straight chat option. Send messages, pictures, videos. Video and audio call will be available too in the future. Create a blog and start sharing your own content with your friends and followers. To know more about how you can set up your personal feed, create a blog or how to use any other feature on ADZbuzz, go to ADZbuzz Tutorials.  There you will find all the information you need to have the best experience with ADZbuzz Network. To get a more detailed overview of different ADZbuzz features, choose the topic below.